In April, when hundreds of houses were demolished in Varanasi to build a corridor between Kashi Vishwanath temple and Ganga ghats, the administration and experts had not expected to come upon a trove of architectural marvels so rich. Seven months into the project, so many 18th century temples — several in immaculate condition — have been found in the bylanes that authorities are now planning to throw them open for worship once again. ASI has already identified 43 for prayer and preservation. These will be made part of the larger Kashi Vishwanath pilgrimage route. The finds have been considered so valuable that the detailed project report of Kashi Vishwanath Corridor project has been amended to include them. “We are preparing a list of structures and their architectural details to finalise a conservation plan,” said Niraj Sinha, in-charge, ASI Varanasi. 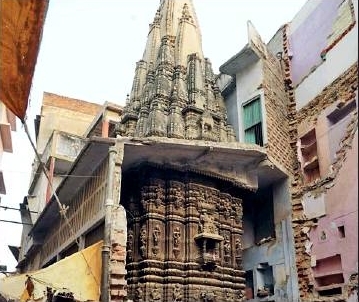 After a conservation plan is finalised, the temples will be opened for public to worship, a senior Kashi Vishwanath Temple Trust official said. The KVC project is to provide direct access to Ganga for devotees visiting the temple. Approximately 296 buildings were identified for demolition. While a few old temples were found in the first round of the demolition drive, their number surged during the second round, which started in November.